It’s been 6 years since U2 released the underrated ‘No Line on the Horizon’ to the world with a huge media campaign. Even when the first choice single ‘Get on your Boots’ confused fans, the album still received great reviews and debuted at number one in thirty countries including the UK and The United States. Because it only sold 5 million that year it was deemed a failure as it had sold less than their previous few albums and had no hit singles. Bono spoke of a companion album ‘Songs of Ascent’ which he said would be released very soon, but he must have forgotten about it while they took a spaceship on tour for the record breaking 360 tour and ‘Songs of Ascent’ failed to materialise. Since then U2 have been buried away in various studios around the world with a mix of the current cool crop of producers (Danger Mouse, Ryan Tedder, Paul Epworth, Declan Gaffney and Flood returning to the fold), cautiously coming up with music that will make them remain relevant among today’s crop of artists. During this time long time manager and 5th member Paul McGuinness would leave to be replaced by Madonna’s manager Guy Oseary. 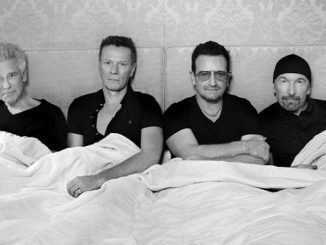 So on September 9th 2014 U2 finally dispelled all recent internet rumours by announcing at Apple’s product-launch press conference that their new album “Songs Of Innocence” is finished, and it would be released into every ITunes users account, (only half a billion) for free within 5 seconds, to much applause and criticism. “Songs of Innocence” opens with “The Miracle of (Joey Ramone)” the song premiered at the recent Apple event. It begins with big powerful crashing riffs followed by the trademark U2 Woh ohs! When the band started playing this at the Apple event I was disappointed to say the least. I thought the song lacked a killer chorus and sounded like U2 by numbers, but after a few spins it gets under the skin and will definitely be a live favourite. The song is about the time Bono sneaked into a Ramones gig halfway through with his good friend Guggi when they were teenagers. The Ramones were a major influence on U2 in the early days “I was chasing down the days of fear, chasing down a dream before it disappeared.” “The most beautiful sound I ever heard… “ it’s a real rocker and will be used in the adverts for the new Apple campaign. “Every Breaking Wave” has been around in various forms for a few years, it was to be the lead single from “Songs of Ascent”. The song is about how hard it can be dealing the struggles of a long term relationship. A stripped down version was played towards the end of the 360 tour. This version has been completely reworked into an upbeat pop song with a catchy chorus “If you go your way I’ll go mine, are we so helpless against the tide?” The beginning gives a nod to The Joshua tree classic “With or Without You”, with Bono singing falsetto in parts. It sounds like U2 doing The Killers doing U2, it would make a great radio song. “California (There Is No End to Love)” starts with the sound of a bell toll and a cheesy Beach Boys chant of “Ba Ba Barbara Santa Barbara”, definitely a contender for ‘weirdest beginning to a U2 song’. Cheesy chant aside it turns into a mid tempo pop song about the bands first trip to California back in the day. “All you need to know is there is no end to love”. U2 haven’t sounded this poppy since ‘Wild honey’ from ‘All That You Can’t Leave behind’, and it wouldn’t sound out of place on a Coldplay record. 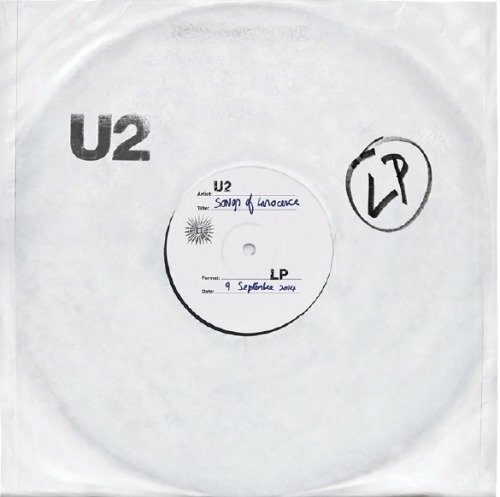 “A Song for Someone” is the albums first hint of a classic U2 anthem; it begins slowly with a gentle acoustic guitar and builds up into a soaring chorus with a Bono vocal pushed to the fore. It is a personal song about his wife Ali, “You’ve got a face not spoiled by beauty”. U2 write these kinds of songs in their sleep. It will sit better in a live setting rather than on record, probably the weakest song here. “Iris (Hold Me close)” is about Bono’s mother Iris who died shortly after collapsing at her own father’s funeral in 1974. 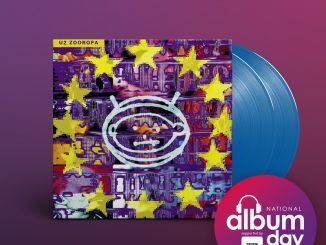 This is the forth song he has written about his mother beginning with “I Will Follow” from Boy, “Tomorrow” from October and the electronic dance track “Lemon” from Zooropa. The song is about how his mother has always been with him, driving him through life since her death and how she has helped mould him to become the man he is today. “Hold me close don’t ever let me go”, “I’ve got your life inside of me”. “Iris says I would be the death of her, it was not me”. The whole band is on top form, Larry Mullen’s drumming pushes the song along with Joshua tree era guitars from The Edge, and Chris Martin from Coldplay on backing vocals. The first standout moment of the album. “Volcano” starts with a bouncing Adam Clayton bass groove, Bono sings “Vol-ca-no, you don’t wanna, you don’t wanna” “Something in you wants to blow” it’s obviously about the young angry Paul Hewson trying to find his way after the death of his mother before he became Bonovox .The Edge comes in with a familiar dirty riff near the end which was leftover from the scrapped song “Glastonbury” a song they wrote about the famous music festival, another unreleased song that was performed on the 360 tour. It has a cool 80s vibe and sounds different to the previous songs on the album; I feel this should have been the lead track. “Raised by Wolves” is the darkest song here, Bono narrowly missed a car bomb going off in a street in Dublin when the troubles in Northern Ireland spilled down to the Republic of Ireland in the 70s. The song has a choppy guitar riff and Edge has revisited his classic guitar part from The Unforgettable fire track “Wire”, underneath Bono’s processed vocal in the chorus, another highlight. Before I heard it I would have imagined a song about “Cedarwood Road”, the North Dublin Street where Bono grew up to be a ballad. Instead it starts off as full on grungy rocker! Before it settles down to Bono mentioning the violence, friendship and nice families he experienced growing up on the street. “You can’t return to where you never left,” Bono sings, the song is dedicated to his good friend “Guggi”. It will now join the great song book of street names alongside The Beatles “Penny Lane” and “Cyprus Avenue” by Van Morrison. 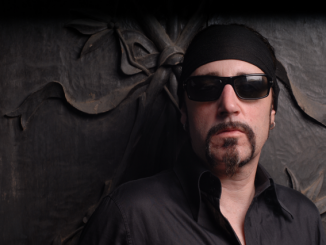 The album takes another dark turn “Sleep like a Baby Tonight”, deals with abuse and cruelty within religion. “Tomorrow dawns like a suicide” Musically the song is fantastic and haunting. A falsetto from Bono hovers over the synths and some cool guitar distortion and piano from The Edge. “This Is Where You Can Reach Me Now” another song inspired by going to see a favorite band, this time its “The Clash”. Joe Strummer was also a big influence, “He was some soldier” says Bono. The song is a cool mid tempo track which leads nicely into final track “The Troubles” the best ending to a U2 album in years, and not a song about Northern Ireland as you would expect from the title, but a song about troubles within a relationship. Where Coldplay bring in pop cheese with Rihanna to duet, U2 bring in someone with some credibility, Swedish singer Lykke Li for the first ever duet on a U2 album. This is a brilliant song to end the album and is another single contender. U2 are unique, no other band has lasted this long still selling millions of albums and concert tickets the way U2 have. the only band who come near are The Rolling Stones as far as concerts go, and they haven’t made a decent album in over 20 years whereas U2 have always pushed and re-invented their sound, they have evolved with nearly every record they release. “Songs Of Innocence” is actually a very fan driven album. You get way more out of this album if you know the history, the songs deal with themes they were experiencing around the years their first album “Boy” was created only now they are mature enough to realise them. 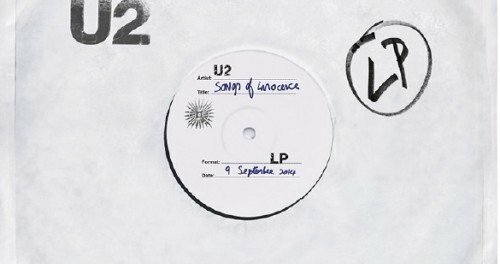 “Songs Of Innocence” sounds clean and crisp, a fresh modern take on the classic U2 sound and probably their most consistent work since Achtung Baby.